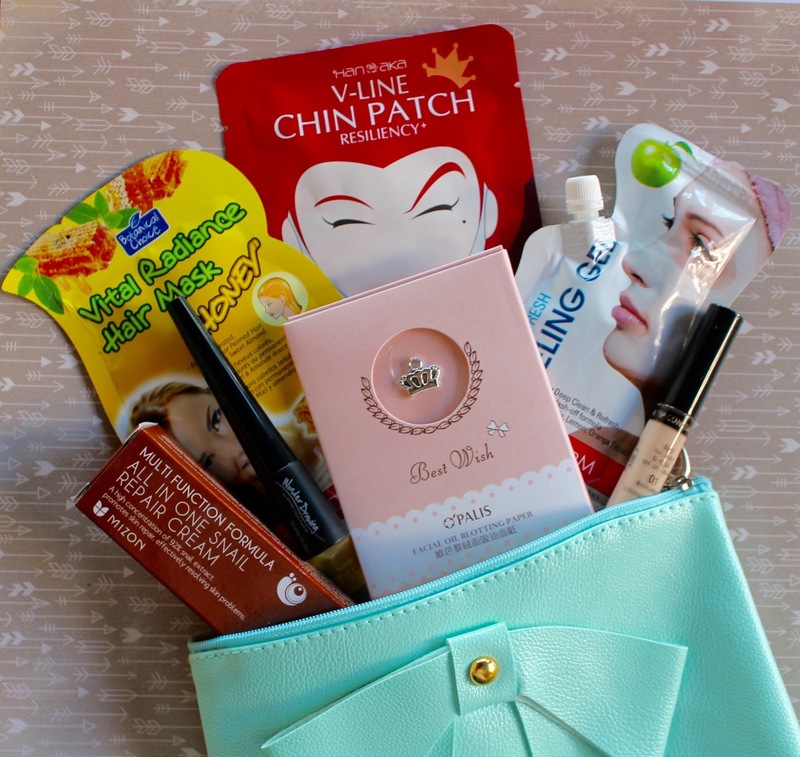 There is nothing more fun than a monthly subscription of surprise beauty goodies! I love this new trend and have tried plenty of beauty subscriptions, from New Beauty Test Tube to Birch Box. I have to say Beateque is one of my favorites. 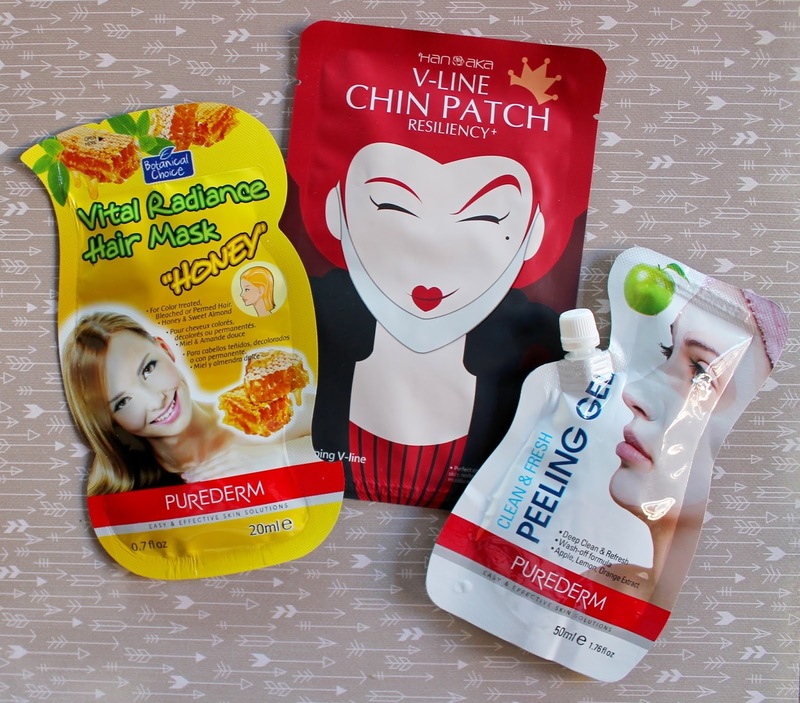 It has the most unique products you won't find in any other beauty subscription. The reason? All of the products are Korean. It's super fun because chances are they are products you have never seen or even heard of. The Korean beauty industry is known for being innovative and cutting edge, so this is definitely a one of a kind beauty box. 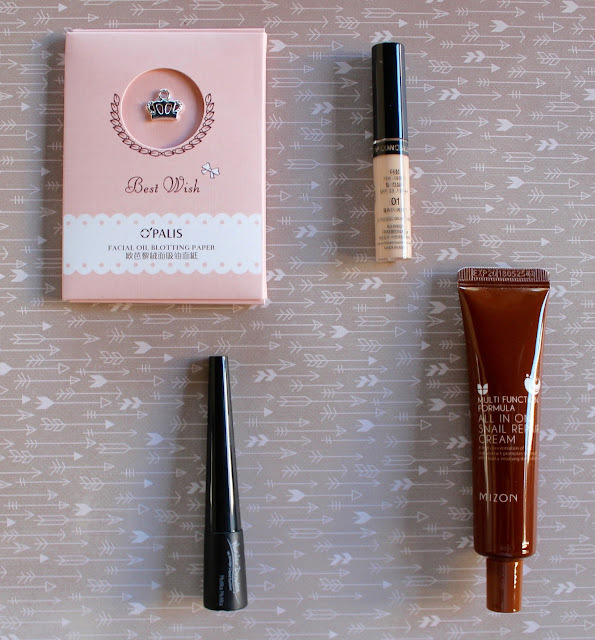 Let's check out what's inside the Beauteque BB Bag! 1. It all comes in the cutest little makeup bag. Awww...and look at the bow! Perfect size to throw in your purse. 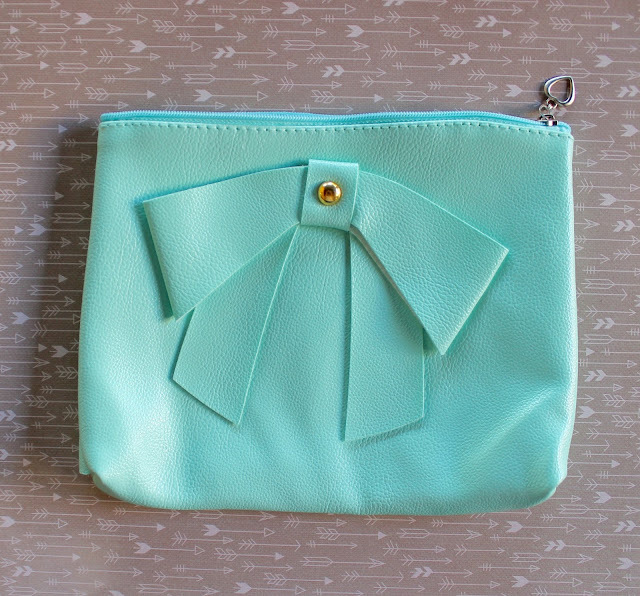 Every month you will get an adorable new bag! 2. Holika Holika Wonder Drawing No Smudge Liquid Liner: Define eyes with this smudge proof liner. Will not flake. 3. Hanaka V-Line Chin Patch: Collagen and Centella Asiatica firm skin and encourage a v-line shape of the chin. 4. Pure Derm Clean and Fresh Peeling Gel: This mask deep-cleans and mildly exfoliates skin for a refined finish. 5. Mizon All in One Snail Repair Cream: This multitasking cream moisturizes, reduces appearance of wrinkles, and reduces acne scarring and blemishes. 6. The Saem Perfection Concealer: Conceals blemishes for a flawless, long-lasting finish. 7. Pure Derm Hair Mask: Restores hair to radiant condition with honey, sweet almond, olive oil, Chamolie, and Jojoba Oil. 8. Blotting Paper: Absorb oil and banish shine without compromising your makeup. That's 8 items! Yes please! A little more about the subscription: You can choose between the BB Bag or the Mask Maven. The BB Bag is a mix of all different makeup products and masks (shown in my photos) and the Mask Maven is strictly masks (for face, hair, etc.). They give you tons of different payment options starting at $13 a month. Pretty sweet deal! Hope you guys enjoy!